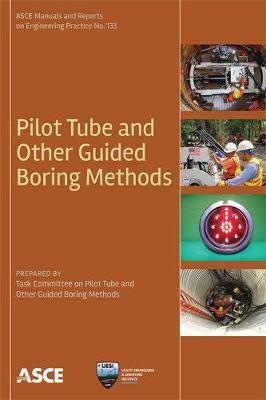 Pilot Tube and Other Guided Boring Methods, is a manual of practice covering the design and installation of utility pipelines of various types under roads, railroads, constructed and natural structures, and other surface obstacles using pilot tubes and other guided boring methods. The pilot tube method is a multistage technique of accurately installing a pipe to line and grade by use of a guided pilot tube followed by upsizing to install the pipe. The associated methods can be effective tools for the accurate installation of small diameter pipelines. MOP 133 provides a detailed description of the pilot tube and guided boring methods by providing chapters on project planning, site and geotechnical assessment, shaft design, pipe characteristics and design, contract documents, and construction aspects. This manual of practice will be of interest to engineers, contractors, and utility owners installing, replacing, and upgrading utility pipelines.